Christina Aguilera let out her legendary vocals to honor the late Etta James. The blues singer suddenly passed away last week after a long battle with cancer. 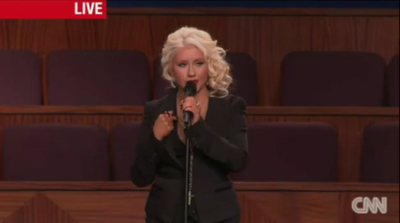 Aguilera performed the classic tune 'At Last' and received a standing ovation from mourners for her rousing rendition.